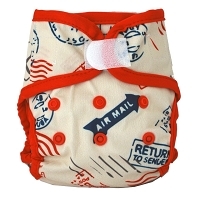 The Sweet Pea Wet Bag holds 4-6 diapers and is made from waterproof PUL. 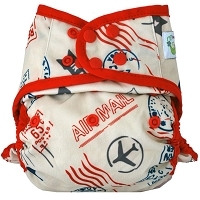 This simple and durable wetbag is great for on the go, for in the diaper bag or daycare! I have many wet bags from different brands (Sweet Pea, Smartbottoms, Grovia, Thirsties, and more) and these are our favorite. I like that they are made of just pul so they wash and dry quickly and the color doesn't fade. I also like where the zipper is, that it's not at the very top like Grovia, and rather on the front. The size is also great. I can fit several dirty diapers in each bag. The price point for this bag is also phenomenal. I have wet bags from several companies (planet wise, rumparooz, sweet pea) and this is my favorite because it is simple. The all PUL construction is great for a shorter dry time and the color doesn't fade with bleach or washing over time. It says it holds 4-6 diapers, which is pretty accurate. Currently mine has 9-10 newborn diapers in it. 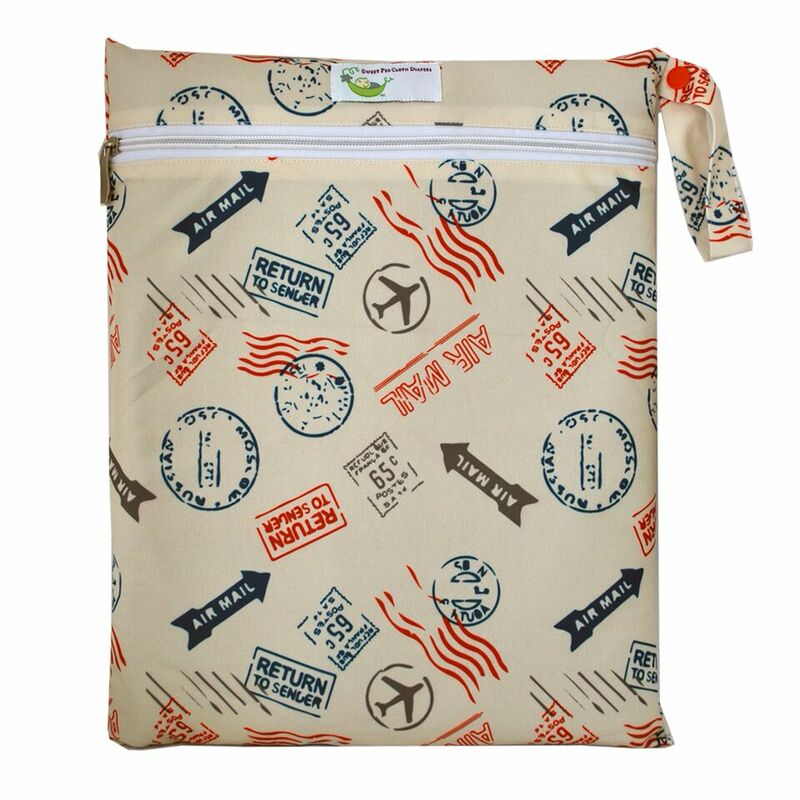 This wetbag would also be great for trips to the pool or beach once LO is out of diapers. I highly recommend! This is my new favorite wet bag. I love that it is all PUL so it doesn't fade in a bleach soak like another brand does.